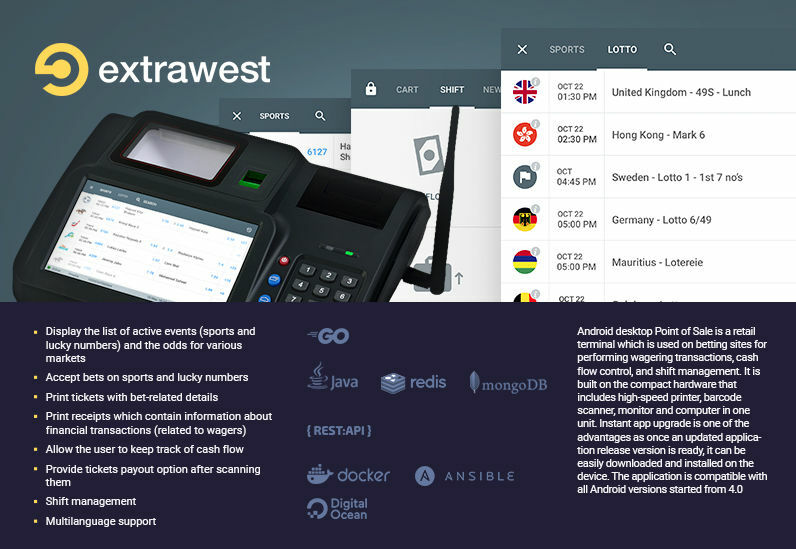 Being a member of Extrawest team for almost 2 years, Andriy has represented himself as a decent professional. Andriy is passionate about learning, improving his craft, and writing maintainable software. He is always interested in challenging projects where he can use his experience to solve unusual tasks. Implementing bets acceptance flow, cashflow on the PPOS client side. Configuring hardware required for tickets printing. Had been involved in all phases of software development process. Developing end-to-end tests. 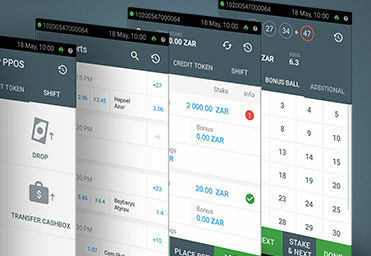 Android desktop Point of Sale is a retail terminal which is used on betting sites for performing wagering transactions, cash flow control, and shift management. 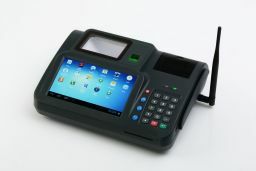 It is built on the compact hardware that includes high-speed printer, barcode scanner, monitor and computer in one unit. 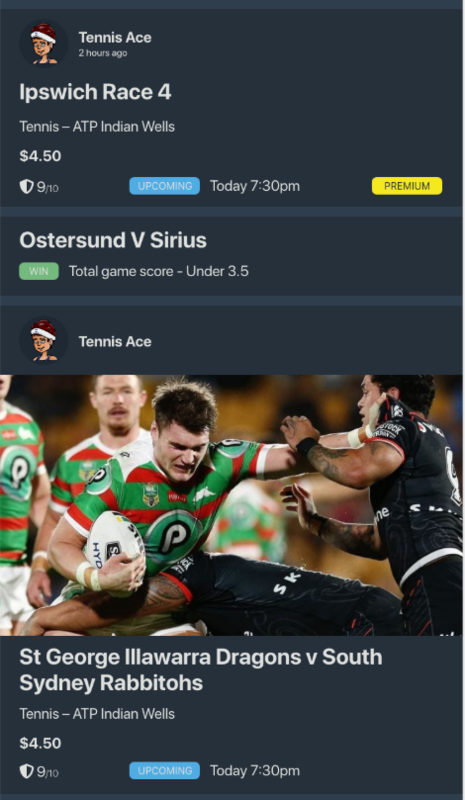 Instant app upgrade is one of the advantages as once an updated application release version is ready, it can be easily downloaded and installed on the device. Implemented bets acceptance flow, cashflow on the PPOS client side. Configured hardware required for tickets printing. Had been involved in all phases of software development process. Developed end-to-end tests. Android handheld Point of Sale terminal is used on betting sites for performing wagering transactions, cash flow control, and shift management. This portable POS terminal is equipped with a high-speed printer and barcode scanner. 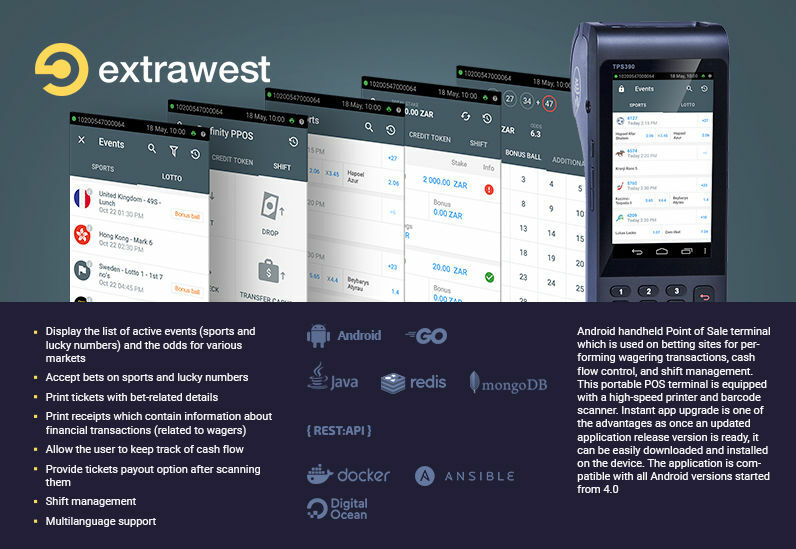 Instant app upgrade is one of the advantages as once an updated application release version is ready, it can be easily downloaded and installed on the device. 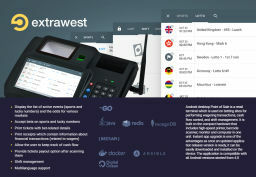 The application is compatible with all Android versions started from 4.0.